Readers outside the United States may not have heard of New York City Mayor Michael Bloomberg’s limit on soda size. He wants there to be a maximum portion size for the consumption of soft drinks. The limit? A very generous 16 oz (or 473 ml, if you prefer). Soft drink portion sizes have grown considerably: in 1955, McDonald’s offered a 7oz cup – now it’s 32oz. Capping the size of drinks sold at restaurants goes a small way to reversing that trend. Of course, if you’d like to consume more, you’re still free to. The only impediment is the indignity of ordering twice. Predictably, the soda and restaurant industries have howled at the prospect of New Yorkers spending less on lucrative and unhealthy portion sizes. The businesses that profit from poor public health argue that Mayor Bloomberg’s limits on portion size are an infringement on liberty. The beverage industry gets it backwards. Those who choose to drink more than 16 oz of soda are just as free to do it as before. But limiting the extent to which the industry can pump their products makes ever New Yorker a little freer. By limiting the industry’s freedom, this initiative expands the freedom of citizens. As part of a comprehensive strategy for public health, it is a vital step forward. Not surprising, then, that the industry will do everything it can to stop the new limits. One of their tactics? 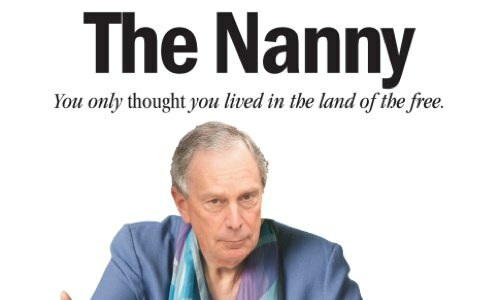 To call Mayor Bloomberg a nanny. But, as I’ve said before, this is a battle between the Nanny State, and Daddy Market.